Offer is valid from 04/02/19 - 03/03/19. redeem your free Nine-Beer Mixed Case. The most expensive sub yet? 29.99 for 9 beers? Fab prezzie! Thanks so much op! I know £29 is a big price but are they worth the £5 or is it just stuff that would be on a clearance shelf? I know £29 is a big price but are they worth the £5 or is it just stuff t …I know £29 is a big price but are they worth the £5 or is it just stuff that would be on a clearance shelf? You can do this without being on o2, just use code o2mixedstyles at checkout. 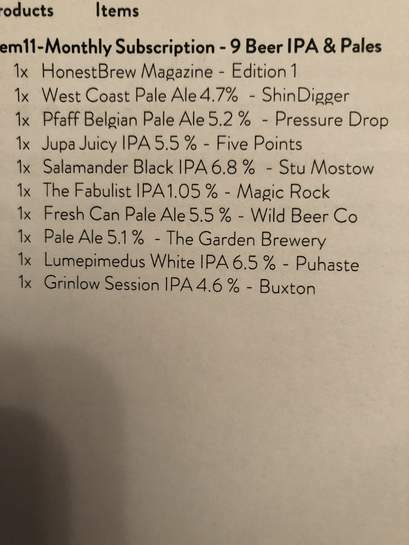 Weirdly i got 12 beers in mine?! Typical trendy and overpriced site. 81 IPAs and not a single mild. Not One. I think I'll set up a mild drinkers' on line subscription club! You can do this without being on o2, just use code o2mixedstyles at …You can do this without being on o2, just use code o2mixedstyles at checkout. I get coupon doesn't exist. Typical trendy and overpriced site. 81 IPAs and not a single mild. Not …Typical trendy and overpriced site. 81 IPAs and not a single mild. Not One. I think I'll set up a mild drinkers' on line subscription club! I know. They don't sell mead either. Ridiculous. Utter nonsense selling contemporary popular drinks. I know. They don't sell mead either. Ridiculous. Utter nonsense selling …I know. They don't sell mead either. Ridiculous. Utter nonsense selling contemporary popular drinks. It's a valid point to highlight the overprevelance of IPAs. Arguably not good for your health and as someone that doesn't like bitter beers or IPAs, I lament their dominance. Would love to see some Belgian dubbles, Scotish ales, German wheat beer, etc. But often lacking. And yeah, I like milds, and milk stout, and chocolate stout etc. But the fashion at the moment, especially in the "craft" brewery scene is highly hopped beers. And yeah, I like milds, and milk stout, and chocolate stout etc.But the …And yeah, I like milds, and milk stout, and chocolate stout etc.But the fashion at the moment, especially in the "craft" brewery scene is highly hopped beers. It's a valid point to highlight the overprevelance of IPAs. Arguably not …It's a valid point to highlight the overprevelance of IPAs. Arguably not good for your health and as someone that doesn't like bitter beers or IPAs, I lament their dominance.Would love to see some Belgian dubbles, Scotish ales, German wheat beer, etc. But often lacking. You don't like bitter beer? I don't like coffee-y coffee, or milky milk. Seriously though, complaining about a beer company selling what is currently fashionable in beer is like complaining about a retail chain selling fashionable clothes. You may not like them, but the general populous does, and nobody is forcing you to go and buy them. Harking back to when folks wore flares and platform shoes (also when mild was last popular) seems kind of pointless. You don't like bitter beer? I don't like coffee-y coffee, or milky …You don't like bitter beer? I don't like coffee-y coffee, or milky milk.Seriously though, complaining about a beer company selling what is currently fashionable in beer is like complaining about a retail chain selling fashionable clothes. You may not like them, but the general populous does, and nobody is forcing you to go and buy them. Harking back to when folks wore flares and platform shoes (also when mild was last popular) seems kind of pointless. Also, how exactly do you reason that IPAs are bad for your health, unlike your "super healthy" milds and chocolate stouts. Let's not forget those nice not-strong-at-all-and-therefore-super-healthy Belgian dubbles that you want more of. I was hoping for something a little less beery. I don't understand why they aren't including a nice chocolate milkshake, granted strawberry is more popular, i'd even accept banana. I like coffee. Just not very bitter coffee either. So I prefer a medium roast. I like beer, just not bitter beer. There are lots of non bitter beers. As I said, Scotish ales and belgian beers fit the bill too. I wasn't complaining. I was lamenting the IPA trend. Comparing liking good quality beers that aren't bitter to flares and platform shoes is ridiculous. Wheat beer is more popular now than it used to be I think. And belgian beers do feature as part of the "craft" and popular quality beer scene. If you drink more than one beer, or a pint, then having a slightly stronger Belgian dubbel vs a slightly weaker but more voluminous IPA for example means you're not actually consuming any more alcholol. E.g. a 330ml 6% dubbel vs a pint of an IPA. Anyway. A higher alcohol volume doesn't mean you consume more alcohol unless you're limiting yourself to a single bottle and they're the same liquid volume. Hops arguably aren't good for you, especially for men. And I don't like strong hops. Ergo avoiding beers that have a lot of them. Anyway, I wasn't complaining, I was supporting the other statement in the lack of milds, and lamenting IPAs dominance. Of course if something is particularly popular, which makes alternatives less easily available, that's not great for those that prefer the alternatives. That's a perfectly reasonable statement to make, especially when those alternatives are high quality beers that fit in the scene. Anyway, if you want to go on about fashion analogies, I'd say IPAs are like skinny jeans. Can't wait for that fad to pass as well so I can more easily buy trousers that actually fit. I like coffee. Just not very bitter coffee either. So I prefer a medium …I like coffee. Just not very bitter coffee either. So I prefer a medium roast.I like beer, just not bitter beer.There are lots of non bitter beers.My favourite beer is probably Weheinstephaner Hefeweissbier DunkelAs I said, Scotish ales and belgian beers fit the bill too.Wheat beers, milds, etc.I wasn't complaining. I was lamenting the IPA trend.Comparing liking good quality beers that aren't bitter to flares and platform shoes is ridiculous.Wheat beer is more popular now than it used to be I think. And belgian beers do feature as part of the "craft" and popular quality beer scene.If you drink more than one beer, or a pint, then having a slightly stronger Belgian dubbel vs a slightly weaker but more voluminous IPA for example means you're not actually consuming any more alcholol.E.g. a 330ml 6% dubbel vs a pint of an IPA. Anyway. A higher alcohol volume doesn't mean you consume more alcohol unless you're limiting yourself to a single bottle and they're the same liquid volume.Hops arguably aren't good for you, especially for men. And I don't like strong hops. Ergo avoiding beers that have a lot of them.Anyway, I wasn't complaining, I was supporting the other statement in the lack of milds, and lamenting IPAs dominance.Of course if something is particularly popular, which makes alternatives less easily available, that's not great for those that prefer the alternatives. That's a perfectly reasonable statement to make, especially when those alternatives are high quality beers that fit in the scene.Anyway, if you want to go on about fashion analogies, I'd say IPAs are like skinny jeans. Can't wait for that fad to pass as well so I can more easily buy trousers that actually fit. Yep, and I hate skinny jeans too. But I wouldn't go on a hukd post about a cheap pair of skinny jeans talking about how I wish that wasn't the current fashion. It just is, and the OP is about whether this is a good deal for this particular kind of beer, whether you personally like the beer or not. As it goes, I too like Belgian beers, and whitbiers, and all manner of other beers. But that wasn't the point here. There's a difference between saying you don't like extremely bitter beer, versus you don't like bitter beer. All beer is bitter, to a degree, unless you're talking about gruit (which I would personally argue is not beer, but then that is just my opinion). Yep, and I hate skinny jeans too. But I wouldn't go on a hukd post about a …Yep, and I hate skinny jeans too. But I wouldn't go on a hukd post about a cheap pair of skinny jeans talking about how I wish that wasn't the current fashion. It just is, and the OP is about whether this is a good deal for this particular kind of beer, whether you personally like the beer or not.As it goes, I too like Belgian beers, and whitbiers, and all manner of other beers. But that wasn't the point here.There's a difference between saying you don't like extremely bitter beer, versus you don't like bitter beer. All beer is bitter, to a degree, unless you're talking about gruit (which I would personally argue is not beer, but then that is just my opinion). So the prevalence of IPAs (and by bitter beers I meant particularly bitter ones like IPAs) - in response the other post about there being 81 IPAs - which was a valid post, but criticised. This is just a general craft beer subscription service. They do all sorts of beers, world beers, etc. So it's perfectly reasonable to expect to be able to get non IPAs. I wasn't criticising the deal or the company. It was basically just a passing comment in agreement with the other guy to say yeah, there are so many IPAs! I wish I could use a service like this and not have IPAs. That's it. This isn't a deal for IPAs. I was only defending the other guy. Asking for something other than an IPA for a beer subscription service, and pointing out there are 81 IPAs and no milds is perfectly reasonable. You guys really are quite aggressive. Mead isn't beer (won't go down the rabbit hole of what mead should be classified as). A mild is. IPAs don't all beers make. And Honest Brew don't just do IPAs, but they seem to be even more IPA focused than Beer52 it seems. All I originally posted was this:It's a valid point to highlight the …All I originally posted was this:It's a valid point to highlight the overprevelance of IPAs. Arguably not good for your health and as someone that doesn't like bitter beers or IPAs, I lament their dominance.Would love to see some Belgian dubbles, Scotish ales, German wheat beer, etc. But often lackingSo the prevalence of IPAs (and by bitter beers I meant particularly bitter ones like IPAs) - in response the other post about there being 81 IPAs - which was a valid post, but criticised.This is just a general craft beer subscription service. They do all sorts of beers, world beers, etc.So it's perfectly reasonable to expect to be able to get non IPAs.They may well do.I wasn't criticising the deal or the company.It was basically just a passing comment in agreement with the other guy to say yeah, there are so many IPAs! I wish I could use a service like this and not have IPAs. That's it.This isn't a deal for IPAs.I was only defending the other guy. Asking for something other than an IPA for a beer subscription service, and pointing out there are 81 IPAs and no milds is perfectly reasonable. You guys really are quite aggressive. Mead isn't beer (won't go down the rabbit hole of what mead should be classified as). A mild is. IPAs don't all beers make. 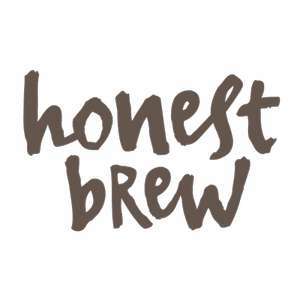 And Honest Brew don't just do IPAs, but they seem to be even more IPA focused than Beer52 it seems. I have no idea what that means. Seems they do krieks, geuzes, lambics etc. so very non beery beers even, just likely not in their subscription mixed cases.